In an age of email and instant messaging, letter writing is almost a lost art, reserved for sentimental notes to loved ones or long-standing pen pals. 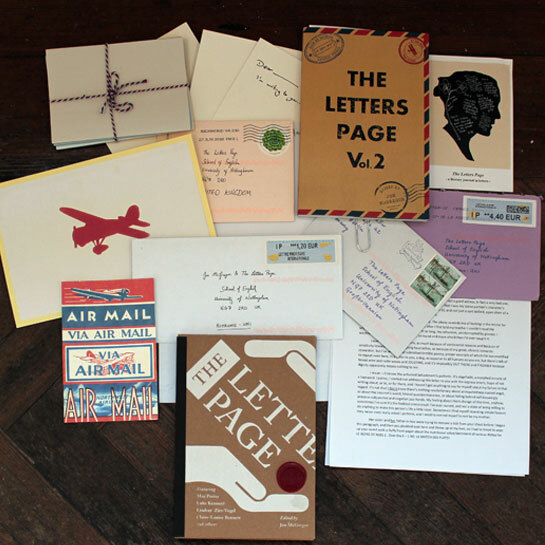 The Letters Page, a letters-based literary journal edited by the University of Nottingham’s Jon McGregor, takes submissions entirely through the post; whatever fits into an envelope is considered for publication. Members of the editorial team will host this workshop to help you think about communication, correspondence, and the art of writing in general. Presented by the School of English at the University of Nottingham.